Vinnies supports Youth Homelessness Matters Day 2017: St Vincent de Paul Society's plan to address youth homelessness. Youth Homelessness Matters Day (YHMD) on Wednesday, April 5 is a timely reminder of the shameful fact that 42 per cent of people experiencing homelessness in Australia are under 25 years of age. Vinnies is marking #YHMD2017 by highlighting the devastating effect homelessness can have on young people. We are also calling for greater action to prevent young people from becoming homeless in the first place and, for those who do become homeless, better-funded services and supports to help them exit homelessness as quickly as possible. Homelessness among young people can arise for a variety of reasons, with family conflict or violence among the most common contributing factors. Sadly, couch surfing and sleeping in cars with other family members are common ways young people are likely to experience homelessness. And whilst they may be so-called invisible forms of homelessness, for the children and teenagers who live it, it is very real. During #YHMD 2017 we are also voicing our deep concerns that recent government policy decisions on employment and social security measures will further harm at risk youths. 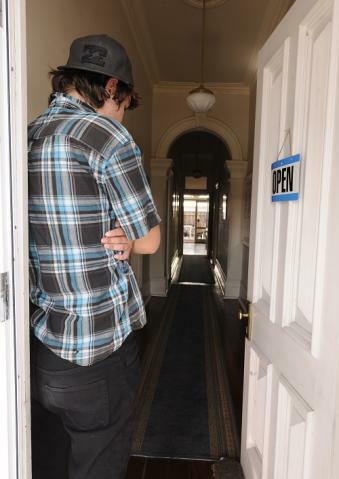 Vinnies CEO Dr John Falzon said: “We have seen worrying attacks on young people in 2017 in the form of a one-week wait for income support payments and the proposal to cut penalty rates. We know that young people and women will be the main groups affected by cuts to penalty rates and that in and of itself is a reason to denounce the cuts. “The future of various youth outreach, early intervention and accommodation services also hangs in the balance, with the Federal Government signalling their intention to abandon the National Housing Affordability Agreement (NAHA) in the upcoming Federal Budget. “We need to reconfigure the policy settings so that youth employment, education and keeping young people out of prison are given the highest priority. A good place to start would be by increasing the pitifully low Youth Allowance and Newstart payments, plus strengthening education, training and employment pathways to prevent further marginalisation of vulnerable young people,” Dr Falzon said. Australia can turn-around the shocking statistics that show more than 26,000 young Australians between 12-25 years of age do not have a home. We can ensure all young people have a place to live, a place to learn and a place to heal. In our Ache for Home report, Vinnies urged the Federal Government to establish a national plan for housing that includes a $10 billion Social and Affordable Housing Fund and for Commonwealth Rent Assistance to be increased and indexed properly, among many other practical recommendations. There are currently 217,000 people around the country on waiting lists for social housing, which is a measure of the housing crisis in Australia. Click here to find out more about #YHMD 2017, an awareness week that is held during National Youth Week (March 31 to April 9). You can promote awareness of youth homelessness by sharing this page. If you or someone you know is experiencing housing or financial distress please contact us or alternatively, you can visit the Find Help section of this website. Nationally, the St Vincent de Paul Society offers in excess of two hundred programs and services. 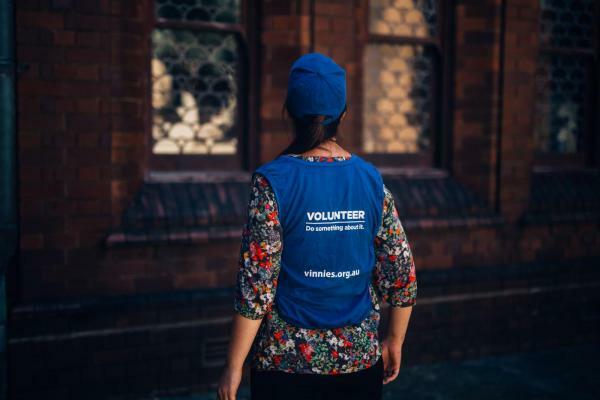 Click here to find out more if you are interested in volunteering with one of our services.